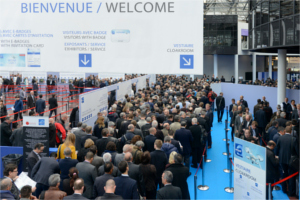 The Visitor Registration platform for Milipol Paris 2019 will be open in May 2019. The 21th edition of the leading event for safety and homeland security took place from 19 to 22 November 2019 at the Paris-Nord Villepinte Exhibition Centre. Once your registration is validated by the Organizer, you will receive an e-mail with your login details for your visitor area. You will be able to print your e-badge to present at the entrance, request for an invitation letter or invite other person to visit the event. You can have a look at the Website to find all the useful information regarding the event: opening hours, transport and itineraries or visa request. Please contact us at visit@milipol.com for any questions you may have.